Walking in Place (WIP) is an important locomotion technique used in virtual environments. 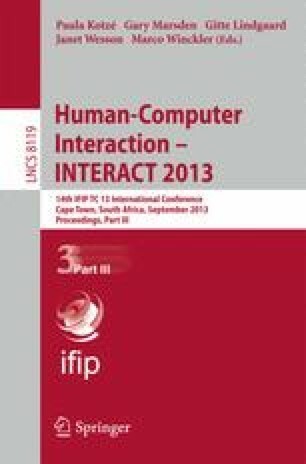 This paper proposes a new approach to WIP, called Speed-Amplitude-Supported Walking-in-Place (SAS-WIP), which allows people, when walking along linear paths, to control their virtual speed based on footstep amplitude and speed metrics. We argue that our approach allows users to better control the virtual distance covered by the footsteps, achieve higher average speeds and experience less fatigue than when using state-of-the-art methods based on footstep frequency, called GUD-WIP. An in-depth user evaluation with twenty participants compared our approach to GUD-WIP on common travel tasks over a range of short, medium and long distances. We measured task performance using four distinct criteria: effectiveness, precision, efficiency and speed. The results show that SAS-WIP is both more efficient and faster than GUD-WIP when walking long distances while being more effective and precise over short distances. When asked their opinion via a post-test questionnaire, participants preferred SAS-WIP to GUD-WIP and reported experiencing less fatigue, having more fun and having a greater level of control when using our approach.